Ableton Live is an audio sequencer and digital audio workstation for Windows and Mac OS X. Ableton Live is designed to be an instrument for live performances as well as a tool for composing, recording, arranging, mixing and mastering. It is also used by DJs, as it offers a suite of controls for beatmatching, crossfading, and other effects used by turntablists, and was one of the first music applications to automatically beatmatch songs. Ableton Live lets you easily create, produce and perform music within one intuitive interface. Live keeps everything in sync and works in real-time, so you can play and modify your musical ideas without interrupting the creative flow. 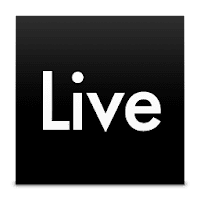 Live comes with a versatile collection of instruments, sounds, kits and loops for creating any kind of music and provides a full complement of effects to tweak and process your sound. Max for Live so you have access to a range of instruments, effects, and customizations created by the Live community. With two views - the classic Arrangement View, where musical ideas are laid out along a timeline, and the unique Session View, where you can improvise and quickly experiment with musical ideas. Disclaimer: Direct downloads for the lastest version of Ableton Live 9.7.4 are provided by the official software's author, we can't guarantee safety, availability or download speed. Moreover, we don't and we won't provide any pirated/illegal versions or tools. We recommend you to avoid it as these methods can harm your device. If you like the software, buy it to support the developers. (We provide software discounts for many worldwide brands).